For those who have been reading this bog for a while now know that I try and support local when and where I can. From coffee, vegetables, meats, and dairy — if it's grown or made locally, I am almost always choosing that over the alternative. When I learned about Cocoa Manna, finding out they roast and grind cocoa right outside of Culpeper, Virginia, I just new I had to give it a go. 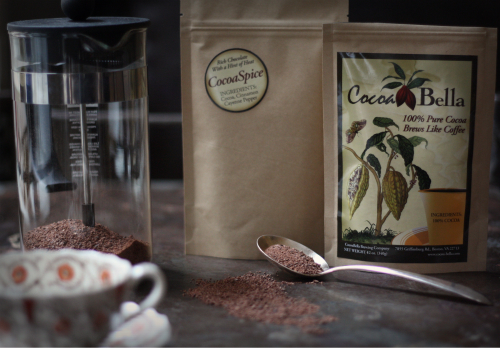 Bonus: Cocoa Manna is giving away 4 different packs of their Cocoa to 4 lucky winners! Learn more about the product below or jump to the bottom to enter the giveaway to receive one 12 ounce bag of cocoa. So what is Cocoa Manna? The taste is like a more robust, complex (and healthy! ), almost red-winey hot cocoa. Cocoa Manna is vegan, gluten-free, cholesterol-free, low fat, low calorie, and packed with powerful antioxidants associated with more energy, a healthier immune system, and stress reduction. Lowers blood pleasure and increases blood flow to the heart. Contains the highest concentration of antioxidants of any food. Antioxidants help support your immune system, may prevent cancers and heart disease, and slow down the ageing process. 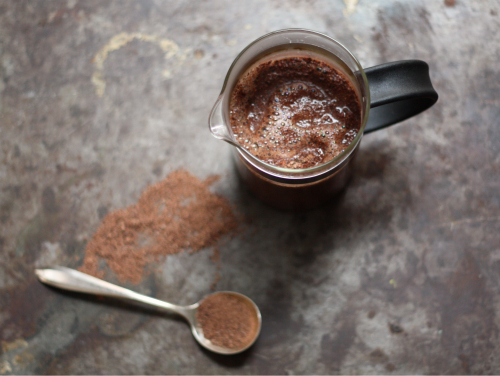 The high magnesium in cocoa supports the heart and digestion. 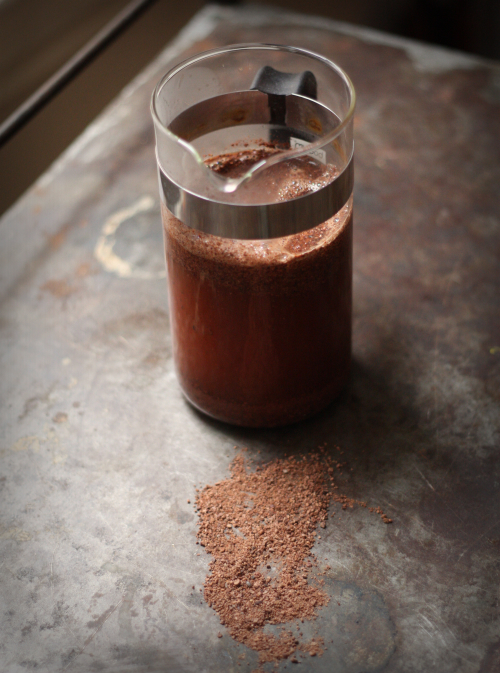 Theobromines in cocoa help increase energy, alertness, and boost metabolism. Cocoa beans contain phenylethylamine, the same stimulating chemical your brain releases when you fall in love. 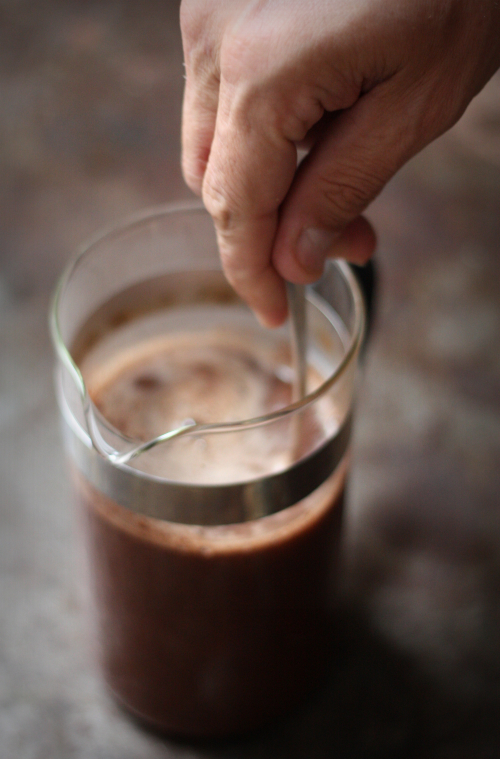 Place 9 tablespoons of cocoa in a french press and add 3 cups of hot (not quite boiling) water. Stir and allow to steep for 9-12 minutes. 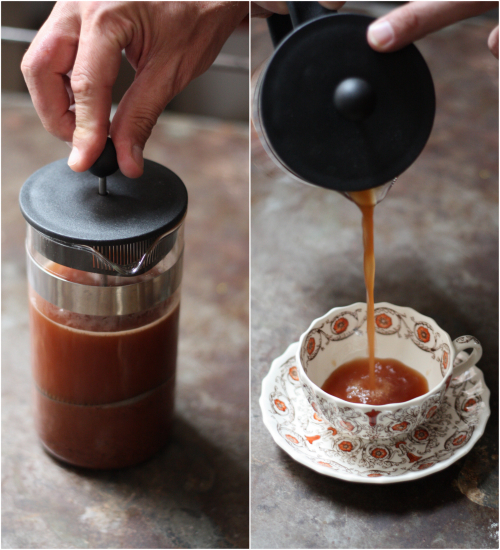 At this point it can be sweetened with honey or your favorite sweetener. Then add milk, cream, or almond milk if you like. A little hesitant because of my love for coffee, I was pleasantly surprised at how much I enjoyed my cup of Cocoa Manna — and the added kick it gave. Now, here is your chance to win and try some of your very own. Four lucky readers will win one 12 ounce pack of Cocoa Manna cocoa. To enter, simply use the Rafflecopter form below — it might take a few seconds to load. For those unfamiliar with Rafflecopter, you fill in the fields using your choice of Facebook or your email, which is only used to contact the randomly selected winner (no spam) — it's that simple. So fun! I will have to check them out as we are cocoa fiends here! Bailey Dexter I would love to try the Cocoa Manna Spice! YUM Chocolate Chai sounds AMAZING! I'd love to try the Cocoa Manna Extra Dark - anything with added chocolate has to be extra good. 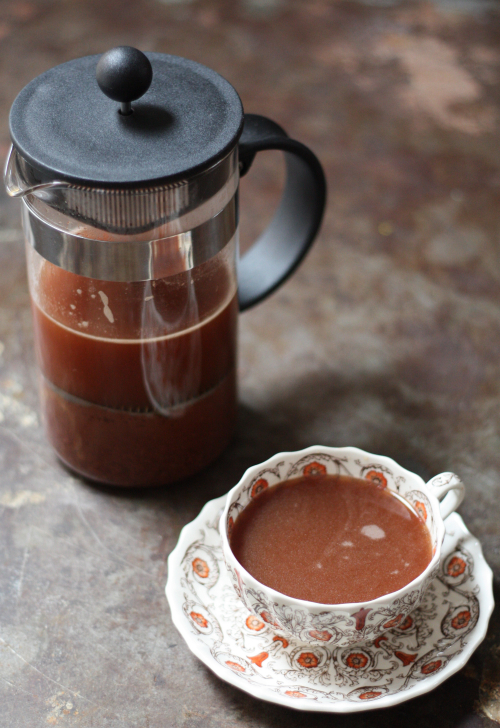 I want to try Cocoa Manna Chai! Since I haven't tried any yet I would want to start with the original (Original Cocoa Manna) and go from there! I'd love to try the Cocoa Manna Extra Dark. I would love to try the chocolate chai, as I love chai tea. I would love to try the Extra Dark. Thanks for the Giveaway. Tammy, we are both happy you found us! Good luck and thanks for the local Virginia love! Good luck in this giveaway! It would be wonderful to try them all! I would love to try the Cocoa Manna Extra Dark!